Giving up the Golan would bring Al-Qaeda to the shores of the Kinneret, Foreign Minister warns. 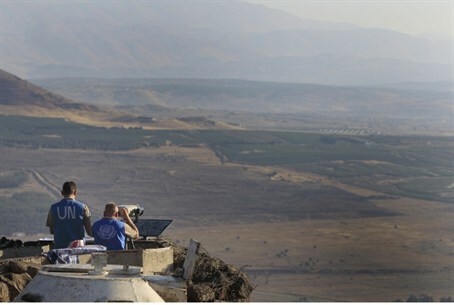 Foreign Minister Avigdor Lieberman visited the Golan region on Tuesday. During his visit, Lieberman noted Syria’s attempts to regain control of the strategic area via a peace deal. “Whoever considers giving it up – that means suicide,” he added. “Al-Qaeda, which is within arm’s reach from here… would sit on the shores of the Kinneret and on the hills, and every kibbutz and town would be under constant, daily threat from all of the most radical groups in the Muslim world,” Lieberman said. Lieberman’s Yisrael Beyteinu party recently merged with Likud, and the two together enjoy a solid lead as the Knesset race picks up steam.